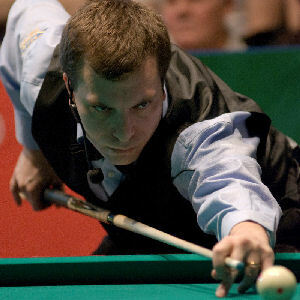 "Andy is a wonderful pool player." "Is there ANYTHING this man cannot accomplish?" 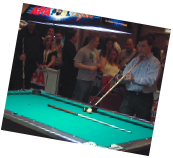 "... a well known artistic pool champion, currently sitting at the top of the rankings..."
Transform your event into an unforgettable experience while you and your clients watch miracles performed on a pool table, defying the laws of gravity and physics. 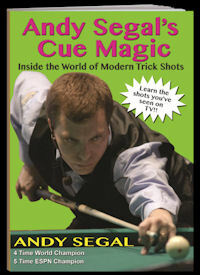 Check out Andy's new trick shot book, with over 120 shots, diagrams, and instructions on how to make each.